The shareware release contains one episode, consisting of ten levels. The commercial release consists of three episodes, which includes the shareware episode and its two subsequent episodes. Later releases also included a three-episode mission pack titled The Nocturnal Missions. The player assumes the role of a World War II Allied spy, William "B.J." Blazkowicz, attempting to escape from the Nazi German prison of Castle Wolfenstein. After the initial escape episode, Blazkowicz carries on a series of missions against the Nazis. 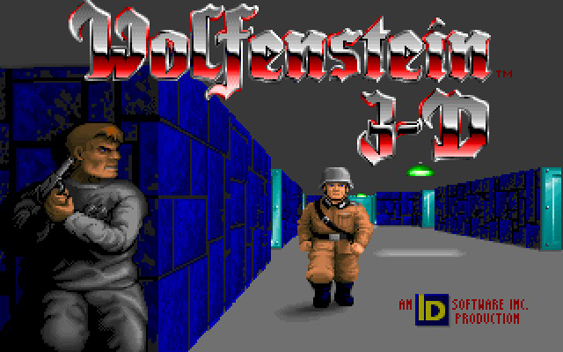 Wolfenstein 3D was a critical and commercial success. It is widely regarded as having helped popularize the genre on the PC, and having established the basic run-and-gun archetype for many subsequent first-person shooter games. Robert C. Prince III, also known as Bobby Prince, is an American composer and sound designer. He has worked as an independent contractor for several gaming companies, most notably id Software and Apogee/3D Realms. He has created music and sound effects for Commander Keen 4-6, Cosmo's Cosmic Adventure, Pickle Wars, Catacomb 3D, Wolfenstein 3D, Spear of Destiny, Blake Stone, Doom, Rise of the Triad, Doom II, Duke Nukem II, Duke Nukem 3D, Abuse, Demonstar, as well as other games. He has also composed music for commercials and independent films. In 2006, he was given a Lifetime Achievement Award by his fellow game composers. He is currently composing sound and music for the game Wrack (formerly Last Bastion). Prince is a lawyer who passed the bar in 1980. He was a 1LT platoon leader in Vietnam 1969-70.